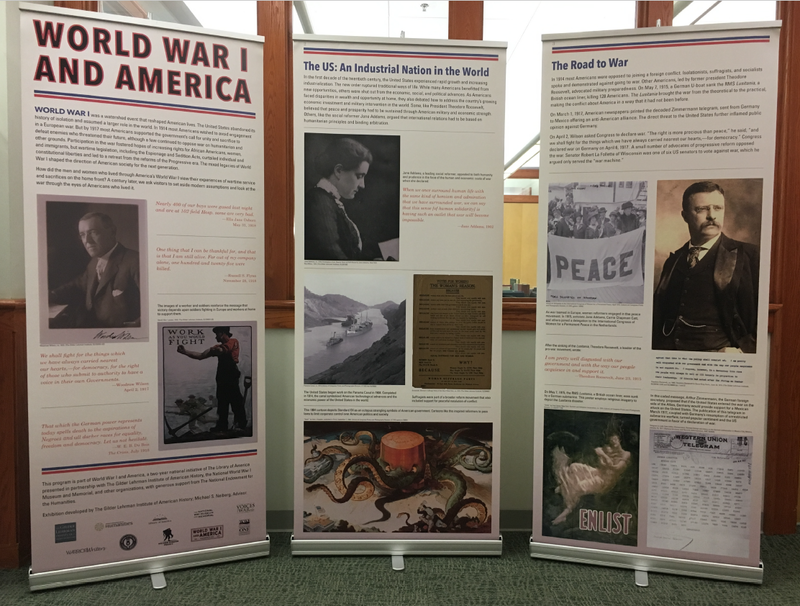 Mark your calendars this week for a special presentation as part of the World War I centennial exhibit. On Thursday, Sept. 7th, Dr. Buck Foster from the Arkansas Department of Heritage will give a presentation entitled, “World War I and Arkansas.” Join us at 7:00 P.M. in the Ross Pendergraft Library and Technology Center, room 300 south, for this special program in Arkansas and world history. The entire community is invited. 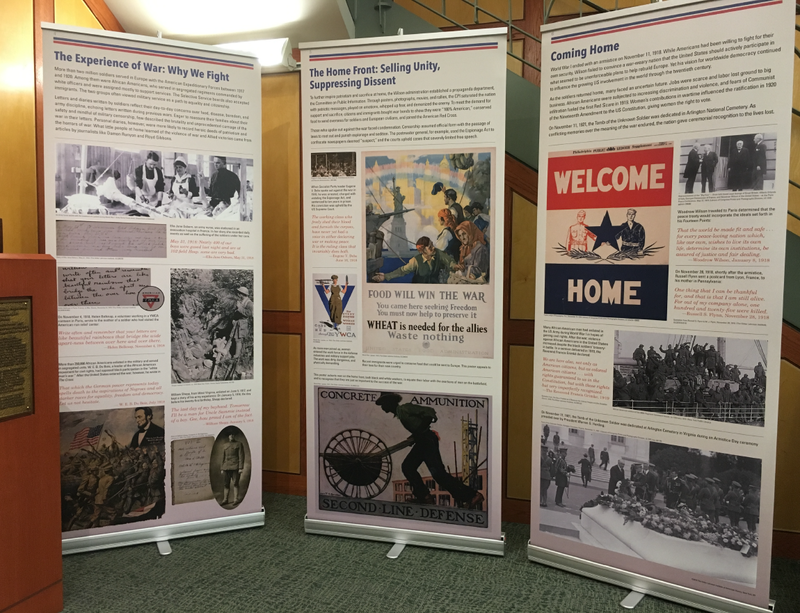 Additionally, the first floor of the library has been dedicated to a traveling exhibition featuring panels that illustrate the historic events of 100 years ago. 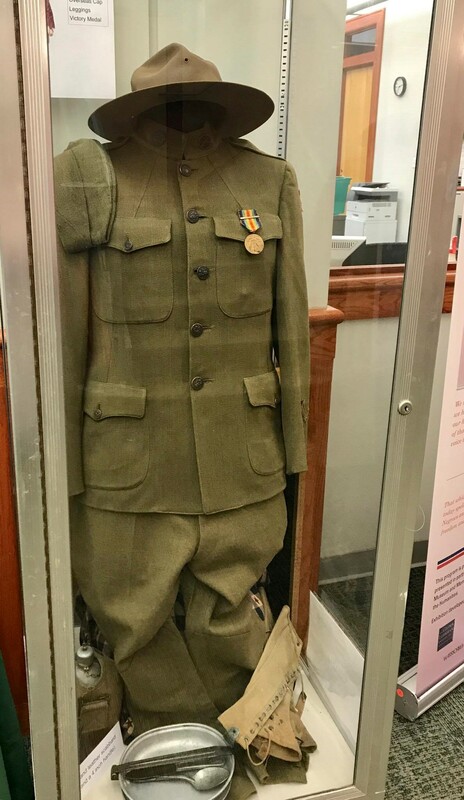 The program is funded by a grant through the Library of America in support of educational programming about World War I. Arkansas Tech University received the only such grant for the entire state of Arkansas. The panels will be available here until Sept. 25th. 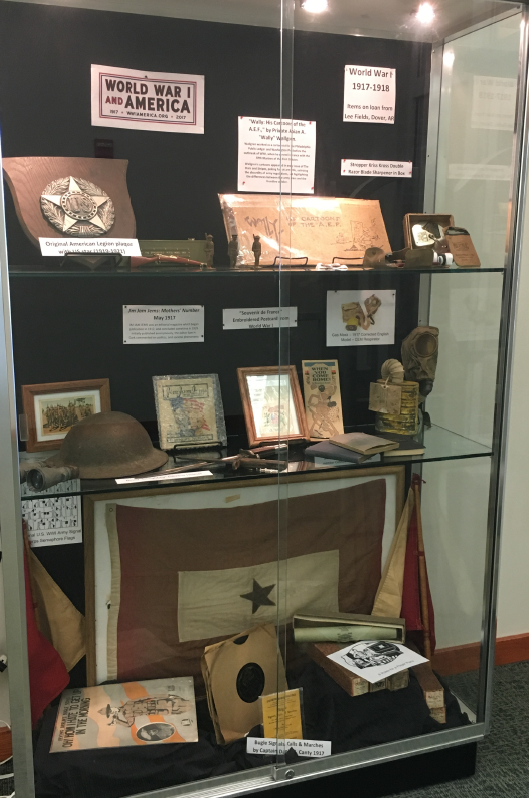 In addition to the panels, a local collector, Lee Fields, has loaned his collection of World War I memorabilia for our display cases, including weapons, books, bayonets, and even the iconic dough-boy helmet worn by U.S. soldiers during the war.